Years and years ago no one would think of allowing a cat or kitten to sit on a flag....but with liberty comes change and acceptance. Now the flag is used on every conceivable object that man can manufacture. I can remember the first item that I ever wanted that had a flag emblazoned on the item. A Polo sweater...to this day I still wish that i had bought that sweater with the flag. 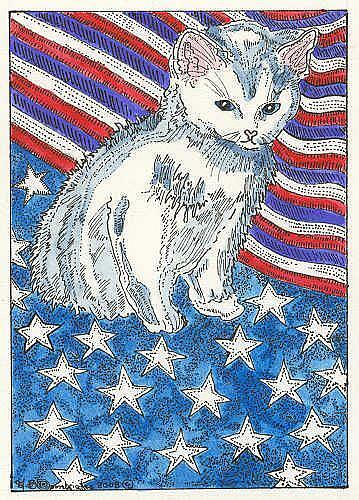 Oh well instead I made Kitten on the Flag.